Exuding a timeless elegance, it’s easy to see why Emeralds have been sought after and treasured for centuries. With striking deep green hues, the esteemed and rare Emerald is unquestionably this season’s most coveted stone. First uncovered during the Spanish conquest of South America, today it is estimated that 70-90% of the world’s Emeralds are mined in Columbia. These represent some of the world’s most rare and valuable gemstones, with increasing demand worldwide only propelling their enduring appeal. The most desirable Emerald colours are traditionally bluish green to pure green, with vivid colour saturation, high transparency and even colour distribution. As a luxurious and mature stone, Emeralds have lamented their sophistication and grace around the world. Royal families are often adorned with this exquisite gem, making it an iconic choice for indulgent and opulent jewellery. 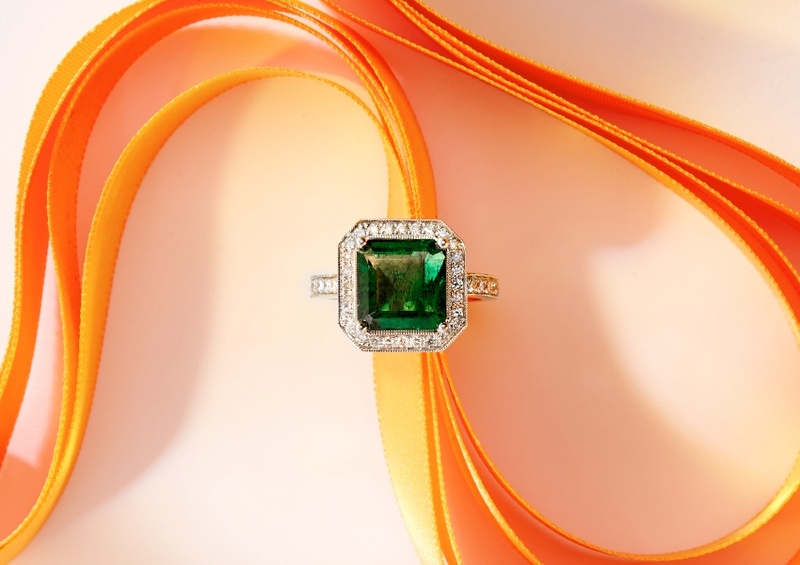 If you’re looking to invest in a timeless piece of jewellery, the classic and eternal Emerald is a wonderful and unique choice. This classic gem has remained prevalent for generations and with highly durable properties will ensure you exude glamour for decades to come. One of our favourite Emerald pieces are our Emerald and Diamond Drop Earrings. Expertly handcrafted with 18 carat white gold, these striking drop earrings showcase a classic Emerald enclosed in round brilliant cut and baguette diamonds. 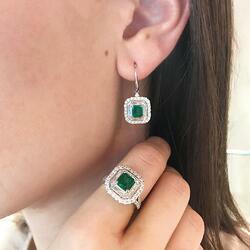 These stunning drop earrings can be perfectly paired with our Emerald and Diamond Dress Ring. This spectacular cocktail ring features a 2.40 carat Emerald, surrounded with divine fine white baguette diamonds and set in 18 carat white gold. The matching set accentuates the beauty of Emerald stones and is guaranteed to become a cherished heirloom for many years to come. Follow us on Instagram to uncover more exceptional Emerald pieces.